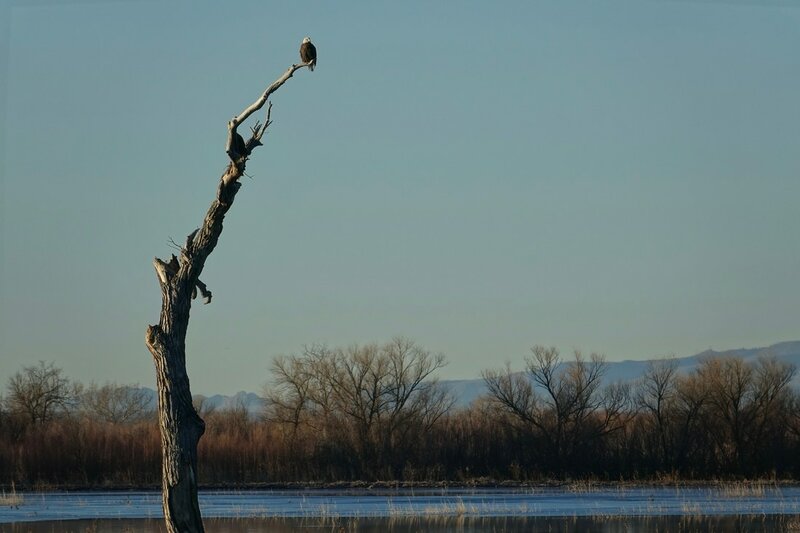 Bosque del Apache is an excellent place to stop in New Mexico from December to mid-February, especially at dawn and dusk when the birds fly into and out of the reserve. 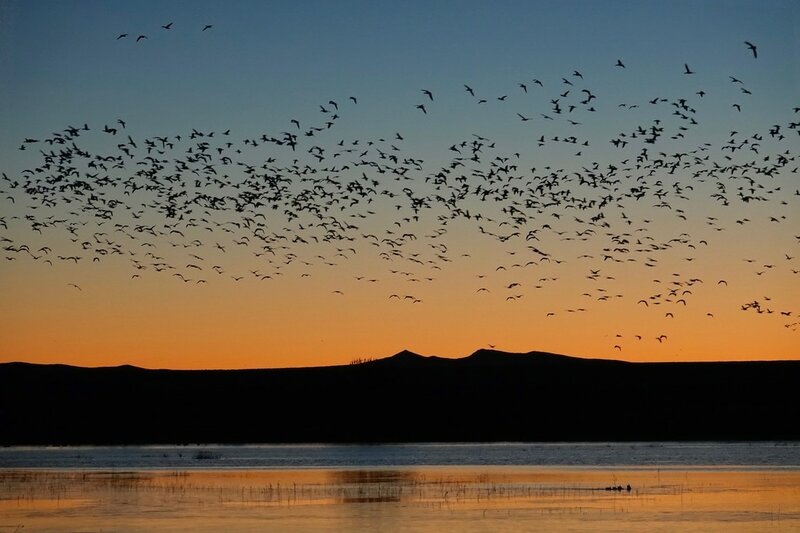 Snow geese are the loudest, their squawk filled the valley while I sat in dark waiting for sunrise. 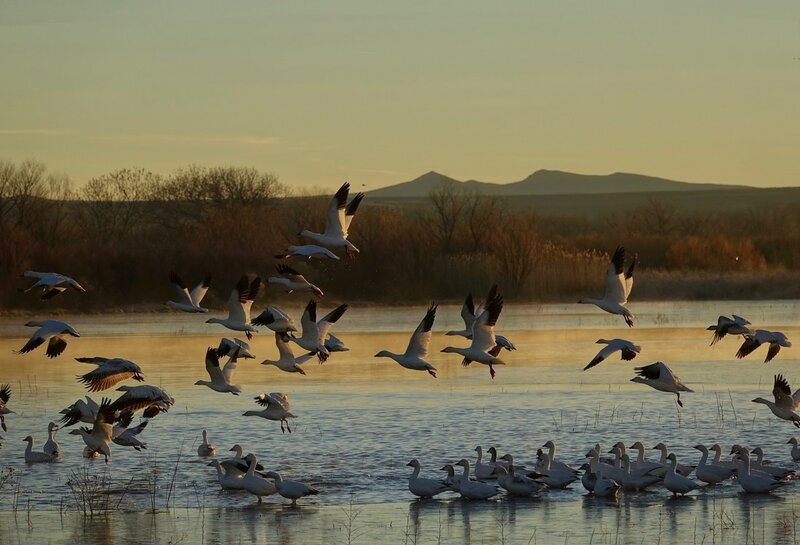 The birds fly each morning to a local farm where grain is left out and they return in the evening to sleep in the water at the reserve. Both days at the reserve were different, the area around the flight deck (not the flight deck itself) was best to view the snow geese blast off in the morning. Follow the locals, they know the recent behavior of the birds.